On the morning of June 4, 1971, the camp came under attack by a regiment of North Vietnamese regulars. After a night of nonstop fighting, Cavaiani ordered his men to evacuate and volunteered to stay at the outpost to hold the enemy at bay. Although wounded numerous times, he eventually escaped into the jungle and evaded capture for eleven days. When he was within sight of an American camp, a sixty-nine year old Vietnamese soldier with an outdated bolt-action rifle took him prisoner. Immediately after his capture, he was forced to march for forty-two days to his first prison camp where he was introduced to what he referred to as the “rude, crude, and socially unacceptable” interrogation techniques of the North Vietnamese. After being introduced to his interrogator by way of a punch in the face, Cavaiani made the mistake of responding, “Hell, my grandmother hits harder than that.” When asked what he and his men were doing on Hickory Hill, he gave his name, rank, and serial number only to watch several of his Montagnard troops executed right in front of him. On December 27, 1972, Sergeant Cavaiani was moved to the Hanoi Hilton along with the few remaining survivors from Hickory Hill. Army officials thought he had been killed, but the North Vietnamese eventually included his name over a radio broadcast listing Americans they held in captivity. As the Paris Peace talks began to wrap up, Cavaiani was suddenly given good food in an effort to “fatten him up” so the world would not know how the North Vietnamese communists treated POWs. Sadly, Jon Cavaiani died of a bone marrow disorder on July 29, 2014, and was laid to rest in Arlington National Cemetery. 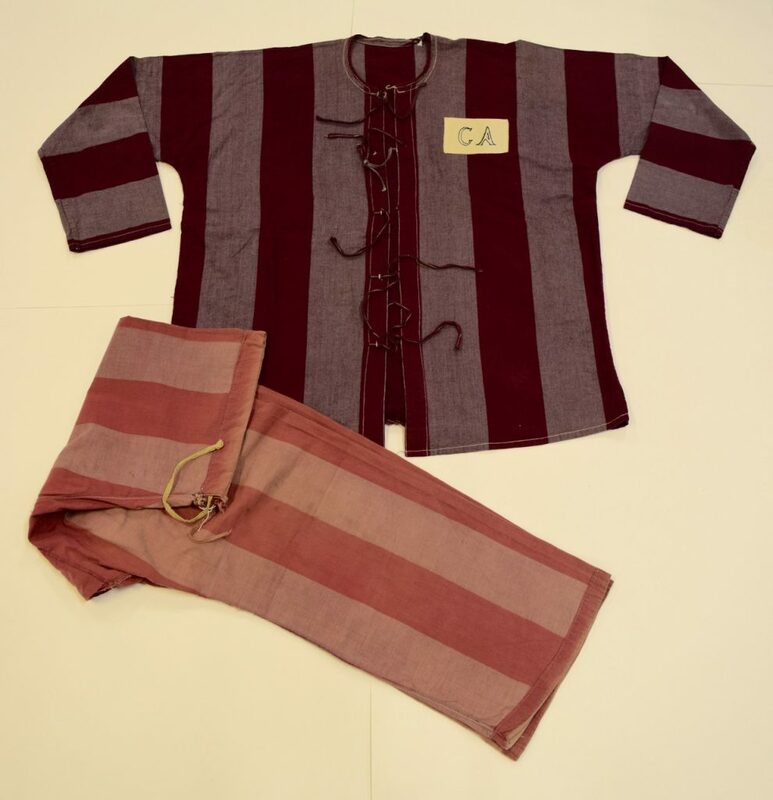 He personally donated his POW pajamas to the Army in 1979, and they will be displayed in NMUSAs Cold War gallery – a mute testimony to the untold sufferings of American POWs during the Vietnam War.